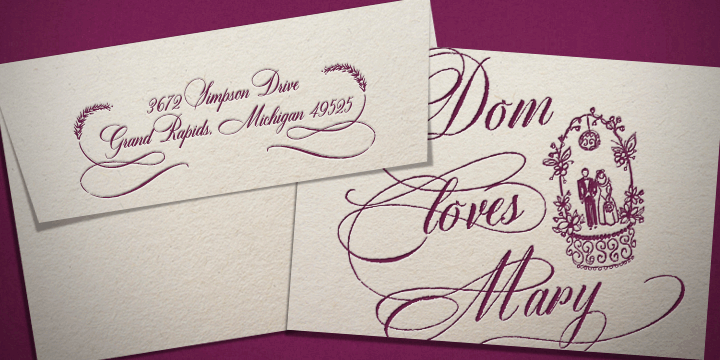 DomLovesMary font family has been integrated with all you require to develop a unique, custom stationery product. The font has been named in memory of Dominic and Mary Sementelli, Debi’s in-laws. She was so attracted by their dynamic and pleasing personality that she decided to create a hand-lettered font with them in mind. Since the two were distinct personalities, the font represented two totally different lettering styles yet made for each other. The font is her own unique way to honor them and sharing their love with other couples.